Click on the image above to change the captcha. Are you planning for your next degree ? The University of Dundee (abbreviated as Dund. 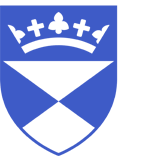 for post-nominals) is a public research university based in the city and Royal burgh of Dundee on the east coast of the central Lowlands of Scotland. It is consistently ranked within the Top 250 universities in the world and inside the Top 100 for some subject areas. It is also in the list of 39 elite UK universities, which includes the 22 non-Oxbridge universities of the Russell Group. Motto: "My soul doth magnify the Lord"
Do The Applicant Have Any Age Limit For Pursuing The Bachelor's Degree ? By flagging, you report the inappropriate content to administrator. Are you sure you want to report this activity? Do you work for this organisation? Start managing your school's profile and gain access to marketing tools and analytics reports. WMS is a Not-just-for-Profit organization which aims to bring out the most reliable and transparent information about everything related to International education funding! © 2019 WeMakeScholars EdTech Pvt. Ltd.